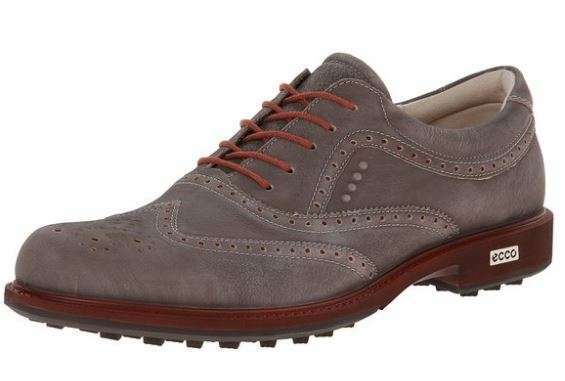 For those trips to high-end country clubs, the Ecco Biom Tour wingtip is the perfect fit. I’m a huge fan of the Ecco Biom spikeless shoes. I’ve found that they are every bit as effective as spike in providing footing, and much better for walking. I have never worn shoes that were as instantly comfortable as an Ecco Biom. This model has a water repellent hydromax treatment.